With indoor plants on the rise, finding an equally charming pot to suit can be quite challenging. It's no doubt that an attractive vessel can make simple foliage into a focal point in your living space. Just keep in mind the watering requirements of your plant and where it will be positioned. 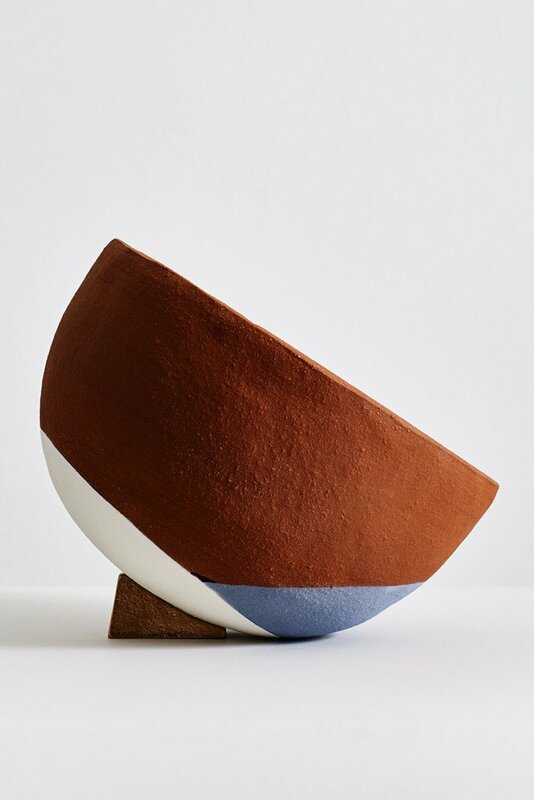 We've rounded up 8 of our favourite pots and planters in varied styles and sizes from self-watering planters to minimalist pots and quirky hanging vessels. 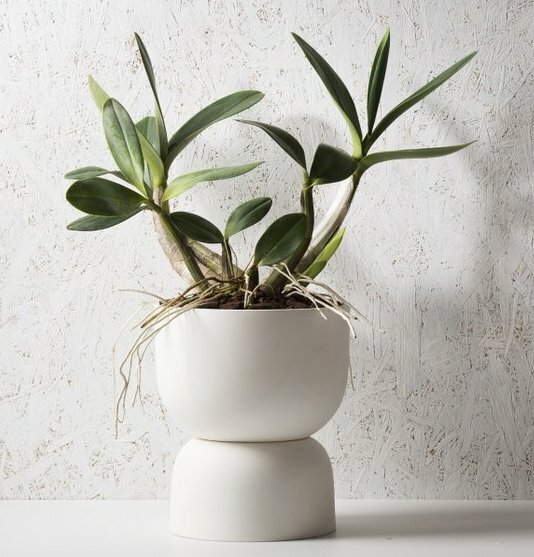 Made from lightweight resin, this contemporary pot and stand offers a simple way to elevate your houseplants whilst remaining easy to move around. 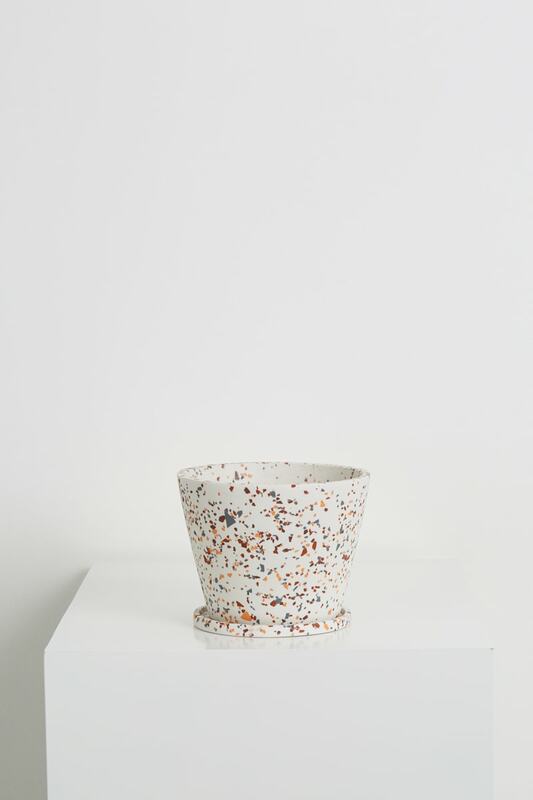 Perfect for botanical arrangements, this eco friendly planter is handmade from resin and flecked throughout, each one with distinct personality. Ferns, ivy, and other crawling plants look their best when they're hanging. Suspending from natural twine, this earthenware style from Trade the Mark is hand made and painted, offering a striking hanging arrangement. In collaboration with Decor, this self-watering design makes a sleek impression with its contemporary form, sure to complement a variety of indoor or outdoor styles. 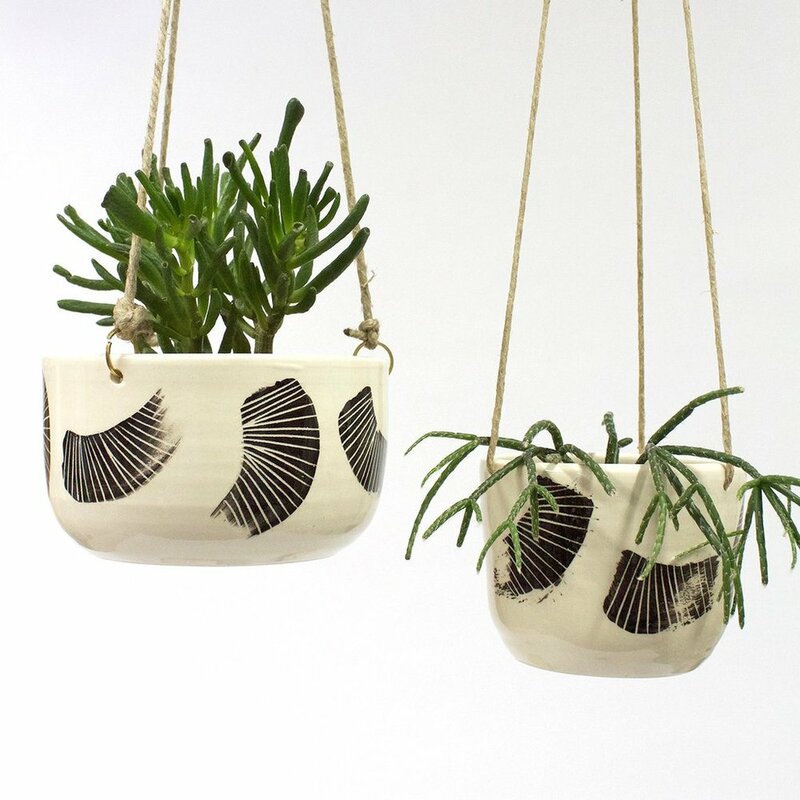 Another self watering style with a offbeat design, the Lazy Season pot allows you to angle it to follow the sun. Perfect for the carefully curated room. With a sleek stainless steel exterior and minimal form, this planter is perfect for any living space to showcase the green life in your home. 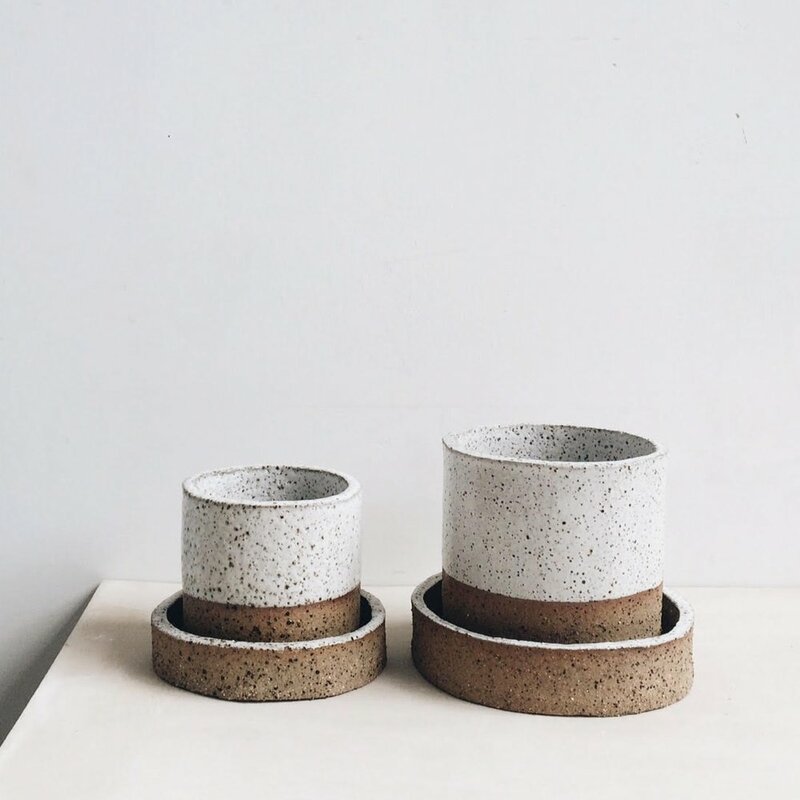 Unglazed and speckled throughout, this stoneware planter and saucer duo from Dot & Co will perfectly complement any greenery. With a unique three-part system, the curvaceous silhouette and crisp white tone of this pot from Angus & Celeste plays a stylish supporting role in your living space.